It is simply being mindful of whatever you do while at work. *Reducing Stress: We all want to lower our stress levels. We cannot stop stress in our lives and workplaces, however we can change our reaction to stress. When we practice mindfulness it reduces the cortisol in our bodies, which is the stress hormone and allows to cope better with situations as they arise. *Mindfulness is said to make people more compassionate and empathetic with others. 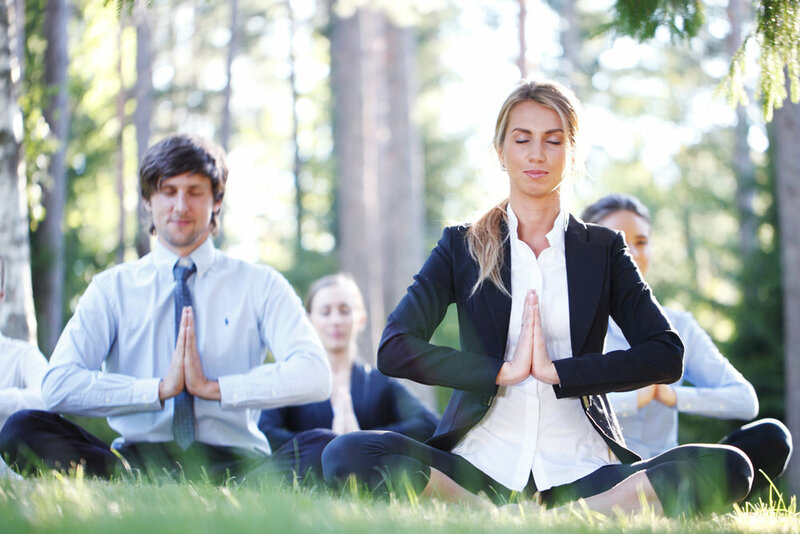 Here are easy ways to bring mindfulness into your day to day modern work life. *While at your laptop/work desk, take time to notice your posture. Are you hunched and tensed, is your face tight and jaw clenched? What can you let go off? *Plan your day ahead. Set intentions at the beginning of the day for positive outcomes, and how you will deal with any problems that will arise. Notice your reaction to situations that come up during the day by being mindful of your emotions. *Practice deep breathing. When you feel stressed, emotional, tired or tense during the workday, take a few minutes to have some deep breaths. Try to make the exhale longer and deeper than the inhale, for example - count to 4 slowly on the inhale and count to 8 slowly on the exhale. Notice the change you feel after doing this, and release any unwanted emotions and thoughts. *Single task rather than multi-task. We feel like we are more productive when multi-tasking, however switching from 2 or 3 tasks at a time is often ineffective. Spend time on one project (or email) at a time giving it your full attention until completed and then move on. *Add more gratitude to your day. We often moan and groan about all the negative areas that might be happening in the workplace. Take time to add some gratitude to your day and be thankful of all the positive aspects of your life and job. Even just having a job is a blessing for many people. *Getting outside even for a few moments. If you can step outside your office and have a few deep breaths in the sunshine. Notice the warmth of the sun and see the beauty in nature around you. *Connect with people. Take time to talk to others in the workplace with a sense of warmth and openness and really listen.